Hey there fellow Road Hawgs — We recently got to test some outstanding gear and we’d really like to tell you all about it. We really like it when we can review an outstanding product that does what it’s designed to do and absolutely, completely exceeds our expectations. We just received a piece of gear that works well in all kinds of weather. 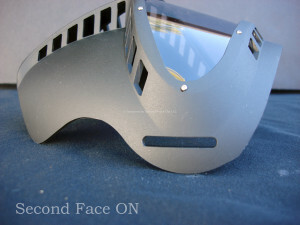 We’re talking about a great piece of gear called Second Face On riding mask. This mask is outstanding. 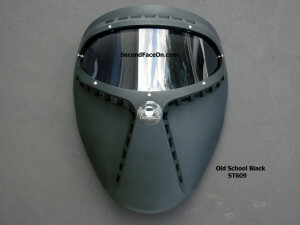 It goes on very easily, does not fog, has great ventilation and protects your face incredibly well. 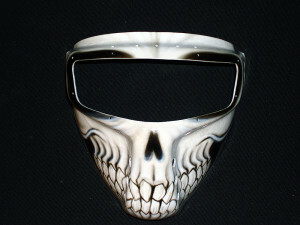 You can ride with this mask in weather from freezing cold to the warmest warm. It is OUTSTANDING!!! As comfortable as can be. CONCLUSION — We give it 5 stars — If you want the protection of a full face helmet but can’t get yourself around the fish bowl feeling that you get from it. Now you have the very best of both worlds. Full face protection from everything Mother Nature can throw at you, comfort, options of colors, styles to fit what you like, and good customer service that stands behind their product. Hi, I currently own one of your Second face masks, i got at a rally. I would like to order another one, but I cant find your information anywhere. I would like a different design and cooling inserts as well. I’m ready to do ‘dam near anything to get one of these masks. Can’t find them or anyone who has one to sell. How do I get one? They don’t answer the phone or respond to messages. Where can I get one! Every time I try calling I get a recording stating that they are redoing there company. I have been calling for six months. I have been wearing a second face on mask for two years and my bike is the only transportation I use. I have ridden in all types of weather from 15 degrees to hot humid weather. My suggestion to you is to clean the inside of the lens and it will never fog up on you. The company suggest soap and water only, I had a problem I lost the small insert for cold weather contacted the company and they sent me one free. I have and would recommend the mask protection to anyone. Thank you for your comments. Constructive and reliable feedback is always good for the riding community. This mask can get you killed… it WILL fog up suddenly in heavy rain, leaving you nearly blind and unable to remove the mask if you’re wearing a helmet. It’s happened to me twice… the second time was in heavy traffic at highway speeds and was the more terrifying experience I’ve had in 37 years of riding. It seems fine otherwise but beware of this mask if expecting heavy rain. Would you consider just selling goggles with your anti-fog lens? 61 queries. 37.75 mb Memory usage. 0.754 seconds.